Unlike much of what happens on Halloween, there is no need to feel scared with this event. 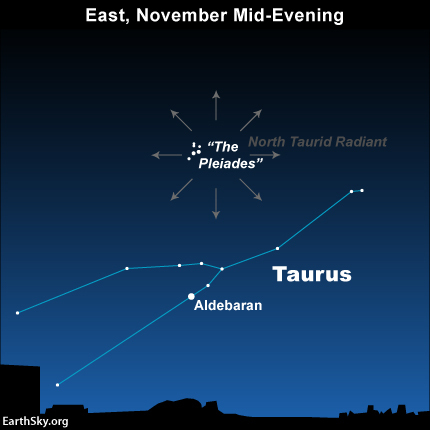 In the upcoming weeks, Earth is expected to encounter the Taurid meteor shower. Otherwise known as the “Halloween fireballs” (fireballs refer to very bright meteors), this meteor shower extends through October 20th to November 30th, reaching peak activity between November 5th and 12th from midnight to 1am EST. The Taurid meteor shower has some unique characteristics which set it apart from others of this year. The meteors themselves often appear yellowish-orange and travel across the sky relatively slow. Also, the duration of the Taurid encounter is quite long, spanning for over a month. Sky-watchers have ample time to find a night to observe. 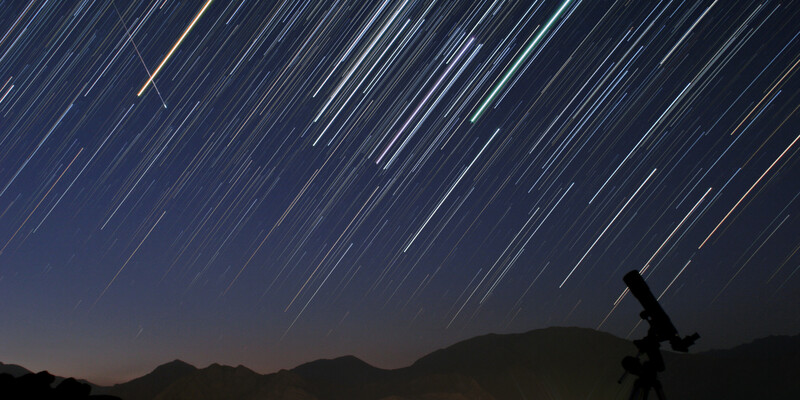 Meteors, also referred to as “shooting stars”, form when debris enter and burn upon entry into the Earth’s atmosphere. Encke’s Comet is responsible for providing the debris seen in the Taurid meteor shower. Astronomer’s predict this year’s shower will appear exceptionally bright do to larger debris released from the parent comet. This year’s Halloween seems to be providing astronomers quite the treat! Astronomy, Calender, meteor, Taurid, Taurid Meteor Shower. Bookmark.